You can either fly from Phuket Airport to Koh Samui, which will cost you upwards of 3,500 THB and takes 55 minutes, or you can take a joint bus and ferry service direct from Phuket Airport to Koh Samui, which takes over 7 hours but only costs 1,000 THB per person. 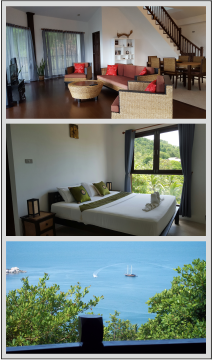 There is 1 direct combined bus and ferry service a day from Phuket Airport to Koh Samui which you can book online. Stage 1: Minivan transfer from the Phuket Airport to join the Lomprayah bus. Stage 2: Journey by modern A/C bus with toilet to a ferry pier near Surat Thani City. 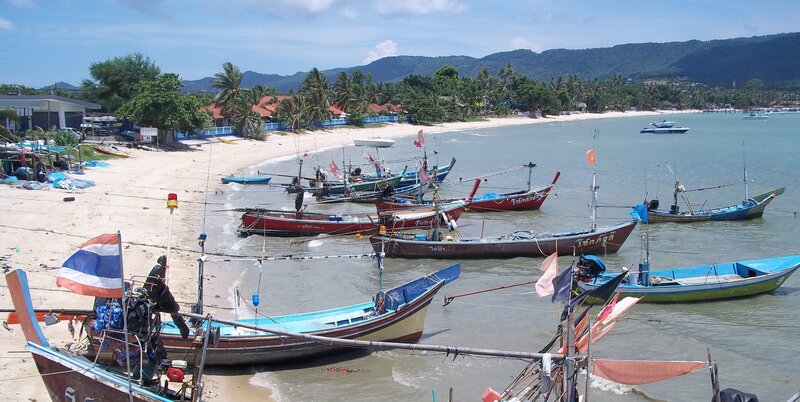 Stage 3: Travel by high speed catamaran to Koh Samui. Use the Search Box below to book your bus tickets or flights from Phuket Airport to Koh Samui. The Lomprayah High Speed Ferry Company makes no charge for children under 2 years old if they use the same seat as their parent or carer. Passengers under 11 years of age are charged 50% of the full adult fare. Passengers with the Lomprayah High Speed Ferry Company each have a baggage allowance of 20 kg. Services to Koh Samui depart from in front of Exit 2 of Phuket Airport International Terminal. Look out for a minivan. This service arrives in Koh Samui at Na Thon Ferry Pier. Shared taxis and conventional taxis depart from the car park near the start of the pier. Conventional taxis are very expensive in Koh Samui and they refuse use a meter or stick to fixed prices. A better option is to take a shared taxi, which is a converted pick up truck with two rows of seats in back and a cover over the top. You may need to wait a while for a shared taxi to depart but you will pay a fraction of the cost of the same trip in a yellow taxi.